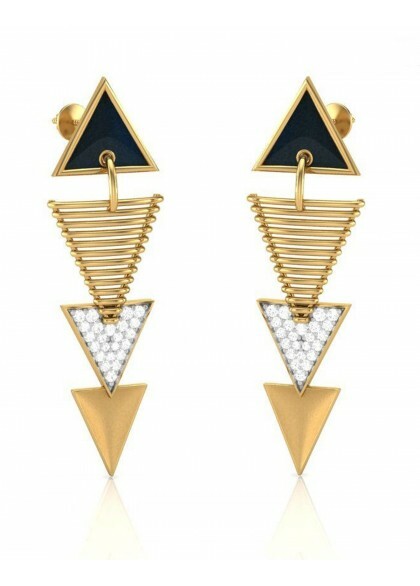 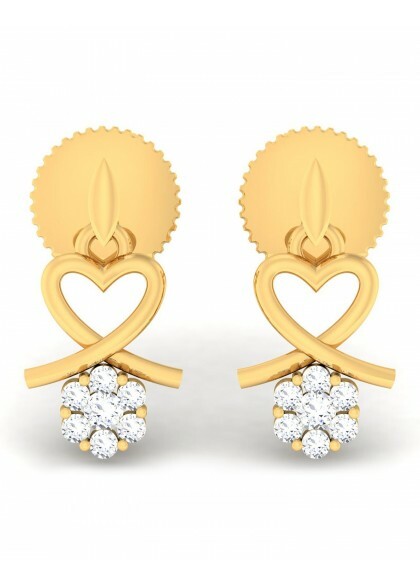 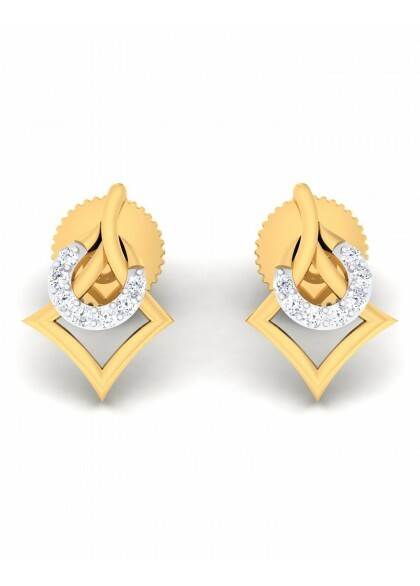 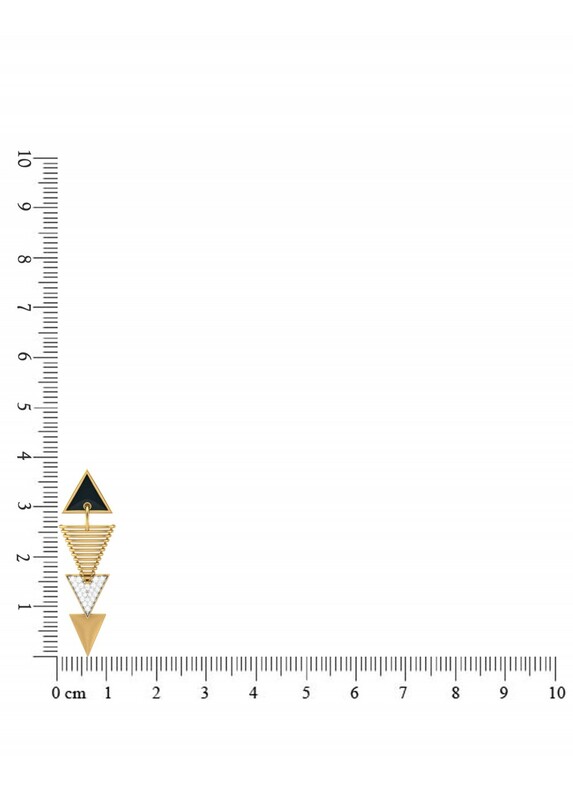 These earrings are made from 14kt & 18kt gold and diamonds are in a shape of a triangle. 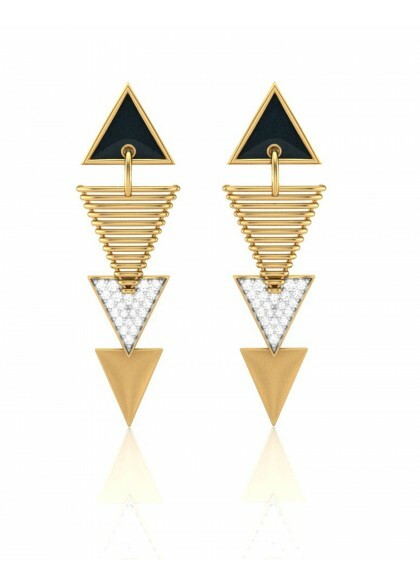 Handmade earrings from the Geometric Contemporary collection are made by the finest artists. 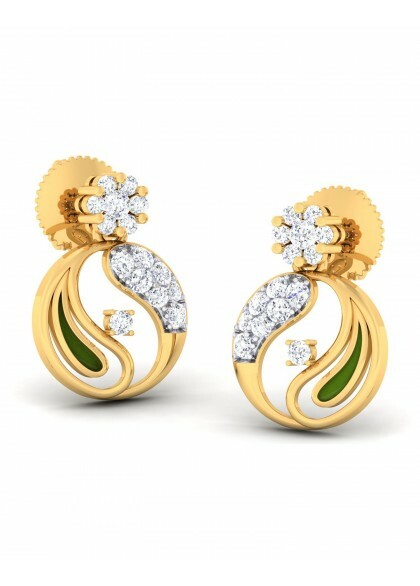 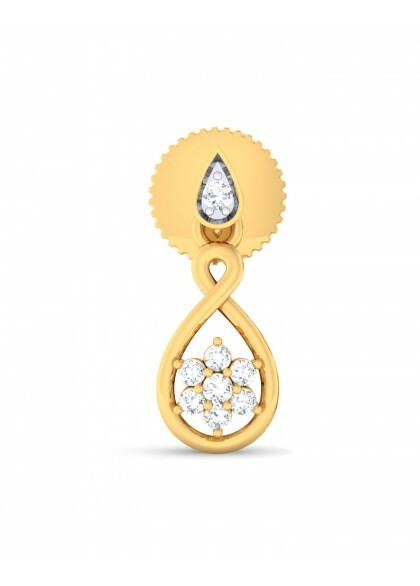 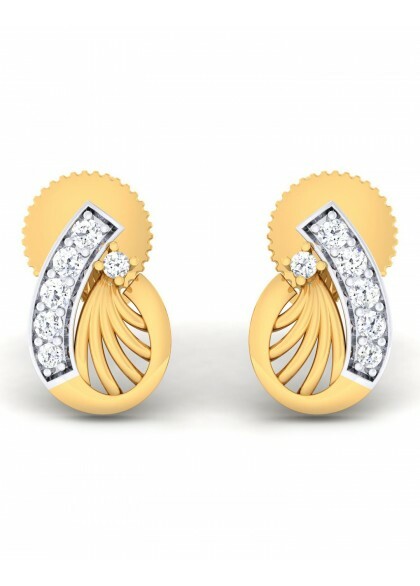 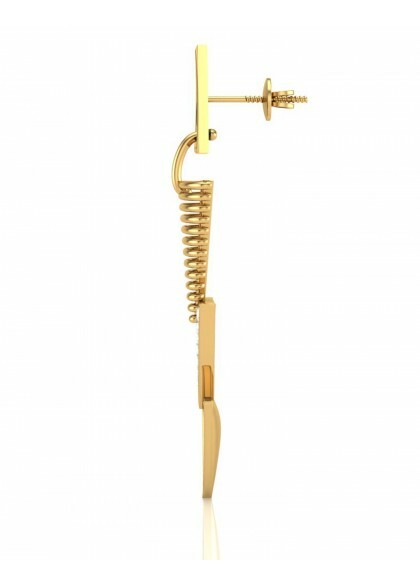 The diamond earrings made in pure yellow gold, diamonds and black enamel are a fashion statement. 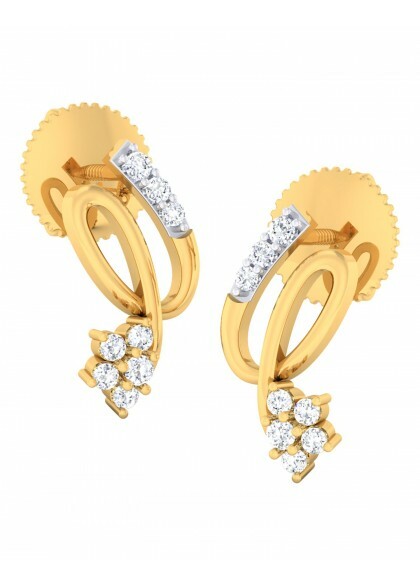 You can wear them with your western gowns and dresses or even amp up your casual denims with them.